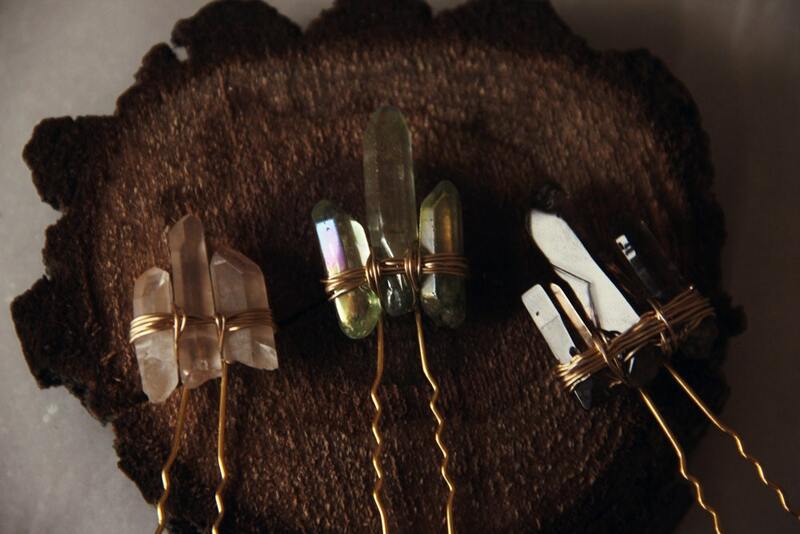 These quartz point hair pins call to mind the mind misty mountains and distant echoes of myth. Soft, pale greens, sweet blush pinks and rocky greys leave a gentle wash of color upon your wedding, shower or everyday hairstyles. 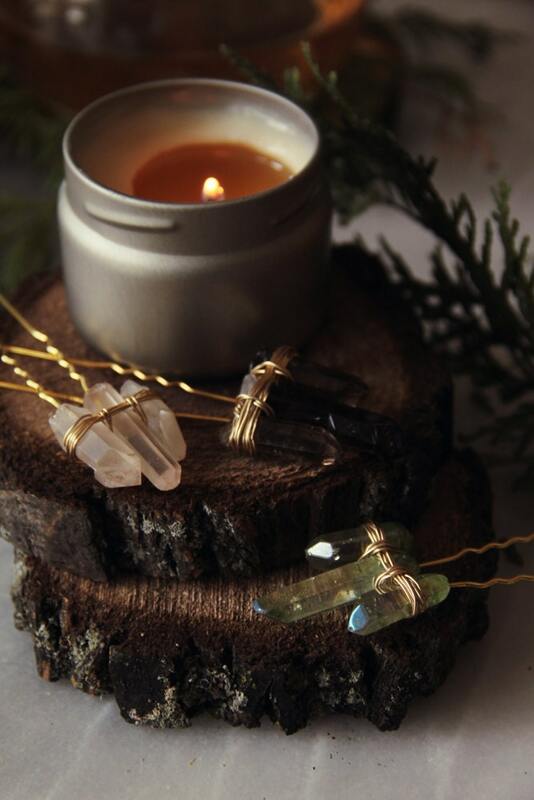 This listing is for one (1) wire-wrapped trio of quartz point hair pin. 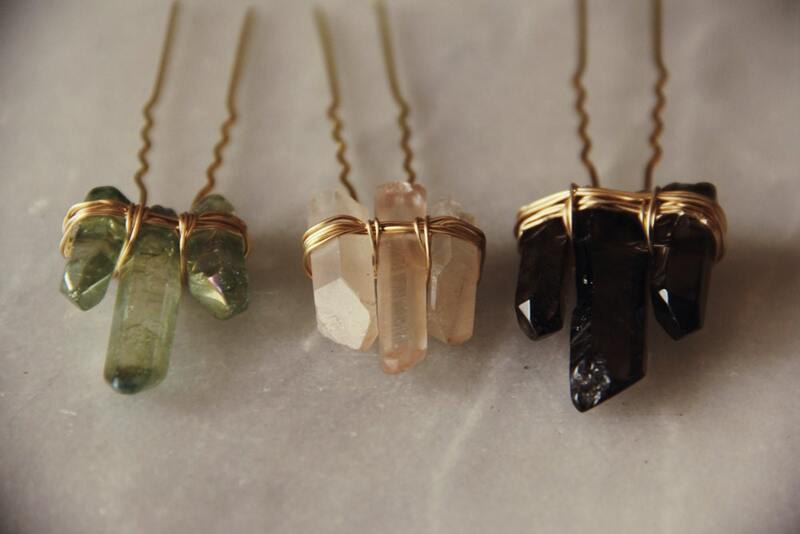 Choose from rose quartz, smoky quartz or green aura quartz in silver or gold wire and pin. These hair pins are made to order, so please feel free to contact me if you need a particular quantity!